Going by the constant questions we have received concerning whether or not the printing of JAMB exam slip for 2018 UTME has commenced, we deem it necessary to create this thread. Nevertheless, we expect the printing of the exam slip or notification of candidates’ exam venue, date and time to commence any moment from now considering that the 2018 UTME is just one week away. Now to make it easy for candidates to keep tabs on this, we will use this thread to monitor when the 2018 printing of exam slip will commence. We advise candidates to keep a close watch on their email addresses since JAMB may send exam slip notifications to candidates’ email addresses. Keep visiting this thread from time to time to check comments, and see if anyone reports that the process has started. 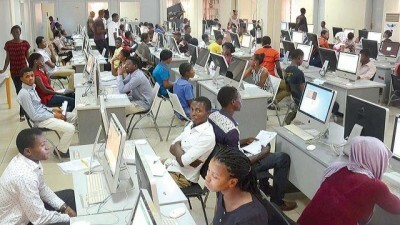 Read Also Is JAMB CAPS Portal Officially Activated For Candidates?